Treatment for the Stimulation of Hair Growth. Platelet Rich Plasma treatments to the scalp starts with a standard blood draw from the patients arm. The blood tube is spun in a centrifuge to separate the red blood cells from the plasma. 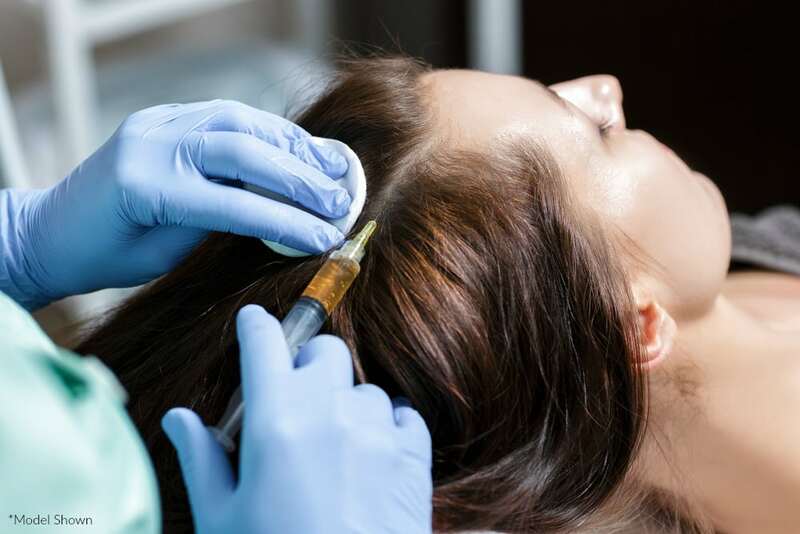 The plasma is then injected into the scalp at the level of the hair follicles stimulating hair growth, hair count, and thickness of the hair. 4 treatments are done once a month for 4 months.